Substance abuse, whether it’s a drug addiction or alcohol abuse, is not an individual issue; addiction in any form is a family disease. Even more troubling, as we discussed in our previous blog about Palm Beach County’s heroin epidemic, addiction isn’t limited to the underprivileged – in 2015, 95 percent of the heroin-related deaths in Palm Beach County were white and the vast majority were middle class. Families of addicts can have just as much impact on their loved one dealing with substance abuse as they can have on their family and friends. As we grow up, our family members and friends play a major role in shaping who we are and how we change over time. Because of this, living with or having a close relationship with an addict can affect us just as much as our behaviors will affect an addict, even through the addiction recovery process. This is why family counseling for friends, siblings, and parents of addicts is just as important at the treatment an addict goes through. Why Family Counseling for Families of Addicts? Addiction is an insidious disease that affects everyone around, not just the addict. For example, a survey found that an overwhelming 79 percent of runaway teens were strongly influenced to leave home because a parent or close family member at home drank heavily. In addition, the children of alcoholics or addicts are 24 percent more likely to struggle with substance abuse themselves and are almost twice as likely to have a mental health disorder like anxiety, depression, and/or bipolar disorder. In order to effectively break the cycle of addiction, families of addicts need the tools to help themselves understand and react just as much as the addict needs treatment. For this, family counseling designed purposefully for families of addicts can provide that needed help. So often, parents and families of addicts are overlooked and ignored when the addict seeks treatment and, as we discussed above, this isn’t the best way to go about treating addiction. When families of addicts get help from sources like family counseling, addiction recovery is more likely to be successful. 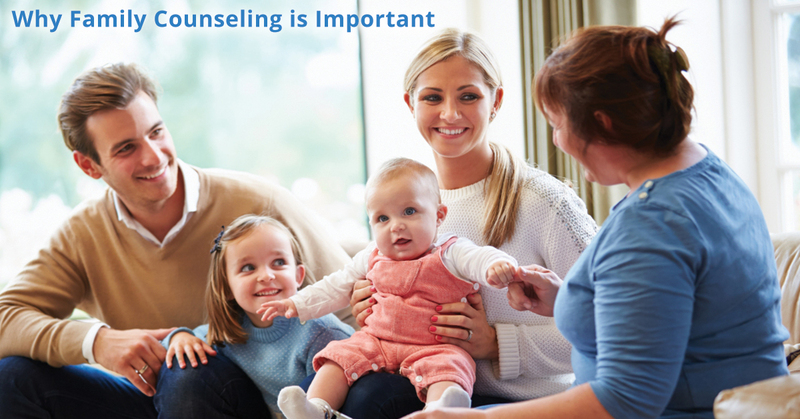 Workshops and private family counseling sessions for families of addicts generally do three things: your counselor will assess your family dynamic and home situation to see where problem areas lie, provide answers and discuss how to best help yourselves heal, and teach family members and friends of addicts the communication tools to effectively break the cycle of addiction. Another key element of effective help for families of addicts is getting support from counselors as well as others who are going or have gone through the same thing. At Family Recovery Solutions of Florida, we offer intensive workshops and private counseling for families of addicts, but we also have the resources to connect you with others who know what you’re going through and can provide additional support. Parents, friends, and other family members of addicts, call Family Recovery Solutions of Florida today to get started with a workshop, family counseling, and more. Join us to receive the help you need!